Over the past week or so we showed you two different ways to start Kontakt, as part of simply turning on your Sonic. Overall, the impact was pretty much the same. Now, we expected that as we loaded the same handful of samples. Next, we get into the interesting discussion of multiple ways to load samples, how many samples do you need loaded, and how to map those to OAX as a user sound and ultimately include sounds in a user preset. Should I use a Kontakt “multi”, a Kontakt “instrument bank”, what is this thing called “quickload”. Wait, what MIDI channel does OAX use for Upper 2 again? All interesting questions! As much as we have tried to stay away from talking about Kontakt details we feel we need to tell you a few things about it to help you decide what configuration might work best for you. I think we might have already said this? If we did, we’ll say it again, if we didn’t we’ll say it now. There is no “right” way, but there is the way that makes the most sense to you. A handful of you have commented on what you have learned on your VST journeys. At this point we are just about dangerous enough to also share what we have learned and how we think we will implement on our Sonic. We say that knowing there is about a 105% chance we will make some (many) changes in our configuration as we continue to use and learn more about it. 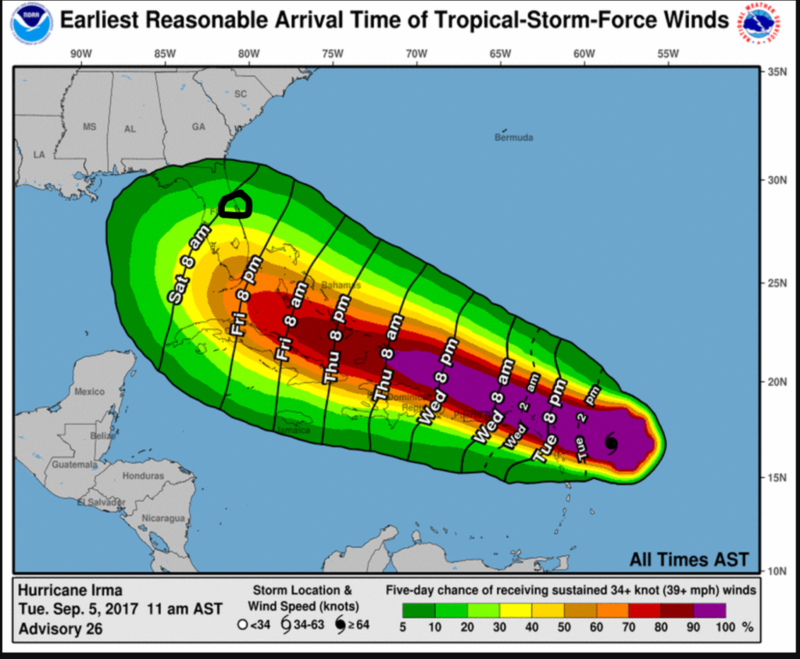 A side note – We are in the path (the little black circle is where we are located) of our new friend Hurricane Irma. There is a pretty good chance you will not hear much from us until she blows through here. For all of our friends on the east-coast of the U.S., stay safe and stay in touch as you can. For now, keep “VST-ing” and we will talk to everyone on the other side of the storm. At the last forecast track I will be just off to the NE side (worst side) of the eye. The forecast expects winds 60 – 75 mph with gust that could get into the 90’s. To all those in the path of Irma please stay safe and my prayers are with you all. My home is between Savannah and Charleston and looks like it’s right in the way of Irma. Hoping for a big change in direction–way east!! Stay safe Chuck and update us when you can. Yea, we would like to see an easterly shift also. For now, the “eye” should be offshore when it goes by us which is good news. But a 50 mile shift to the west and — YIKES! We are 99% ready. Food, water, etc., all stocked up. Making ice as fast as we can freeze it. Everything outside is done and put away with the exception of a couple pieces of patio furniture. We are waiting until Friday morning to bring that inside. We still have plenty of time to take care of that. Curt, all my prayers and good wishes. Just be as safe as possible. But this guest Irma was not invited at all ! So – so true! As of the 11:00 AM update the track shifted a little to the east which is good for us but I don’t buy into that yet. It’s still a little too far away to predict where it will actually be. We are about 5 days from from the worst of it for our location. Things will start to go downhill for us Saturday night through Monday. Good luck with Irma Curt, I hope it passes you by and doesn’t cause you any issues.